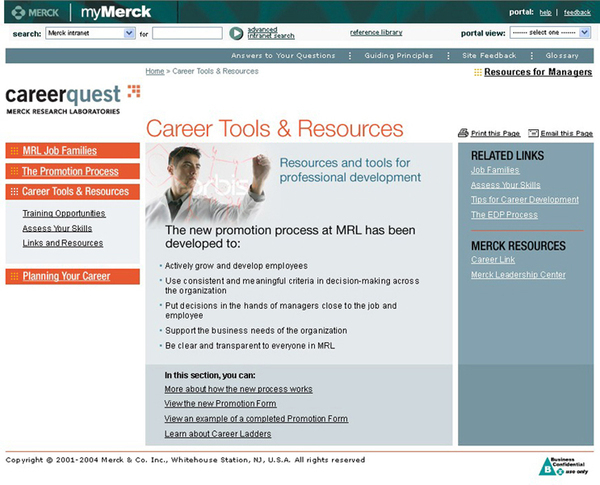 Merck Research Laboratories "Career Quest" intranets, deployed in their North America and Japan operations, are excellent cases for conducting audience research prior to the Design phase of sites. 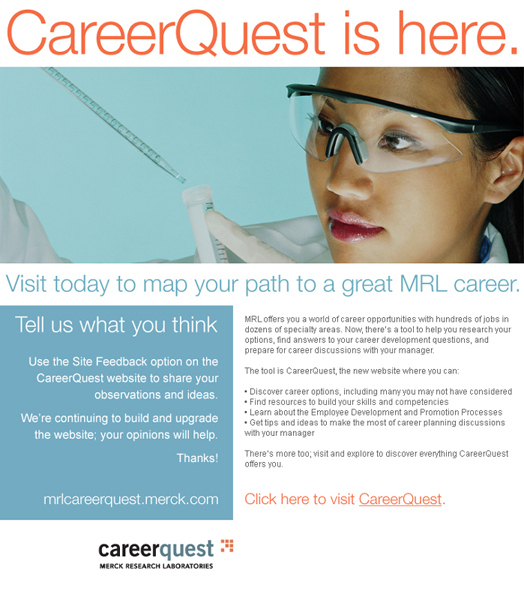 MRL tasked Refinery with building an intranet to support the launch of a highly controversial initiative that was a radical departure from its time-honored processes for promoting research scientists within the organization. This initiative met with much pre-launch resistance. Prior to commencing the Design phase, we devised and conducted both traditional and innovative UX and Design research, in the form of individual interviews, with 25 MRL research scientists. The Design research investigated preferences for palette, semantics, photography and and visual style. The results were startling, and enabled us to create an intranet in less than half the conventional development time, that was so successful that Refinery was asked to duplicate its efforts for the North American marketing group and research laboratories in Japan. 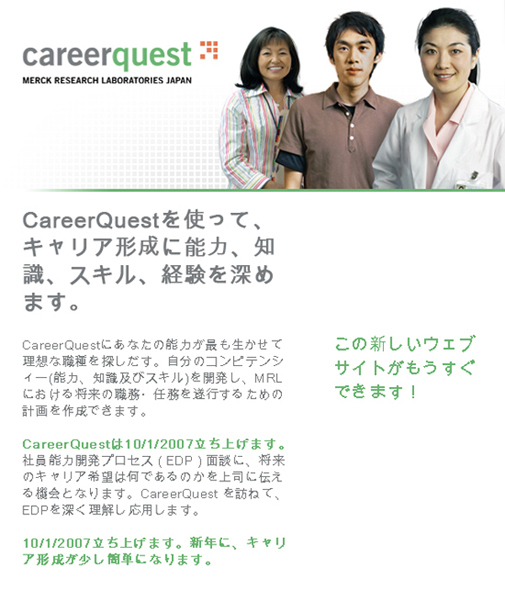 When the intranet was presented to the lead executive for MRL Japan, he exclaimed, "It's so Japanese! How did you do that?!" 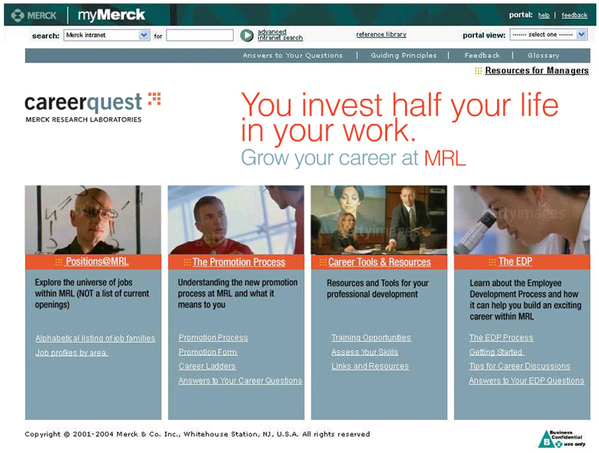 Merck Research Laboratories "Career Quest" intranets, deployed in their North America and Japan operations, are excellent cases for conducting audience research prior to the Design phase of sites. MRL tasked Refinery with building an intranet to support the launch of a highly controversial initiative that was a radical departure from its time-honored processes for promoting research scientists within the organization. This initiative met with much pre-launch resistance. Prior to commencing the Design phase, we devised and conducted both traditional and innovative UX and Design research, in the form of individual interviews, with 25 MRL research scientists. The Design research investigated preferences for palette, semantics, photography and and visual style. The results were startling, and enabled us to create an intranet in less than half the conventional development time, that was so successful that Refinery was asked to duplicate its efforts for the North American marketing group and research laboratories in Japan. When the intranet was presented to the lead executive for MRL Japan, he exclaimed, "It's so Japanese! How did you do that?!"